Marie has been discovering the suppleness of yoga for more than 20 years. Always refining her practice, she explores each asana with a balance of strength and gentleness. Believing that strength comes in many forms, Marie integrates focus, form, and fun throughout each class so you can safely explore your edge. She strives to include everyone in her classes – because everyone’s body and mind can benefit from yoga. Her classes are a physical practice that will also directly impact how you live your life. 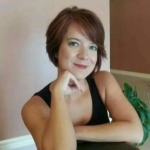 Marie aspires to access the power of the mind, body and spirit. Marie has a Master’s Degree in Addiction Studies and provided counseling services at world renowned, The Hazelden Foundation. She is a United States Military Veteran, proud of her country, and forever seeking to serve for the good of others. Marie is most grateful to her numerous teachers, to include Bryan Kest, Sid McNairy and Dr. Prudence Bruns. She is ‘forever in love’ with her husband, Larry, and their two children. 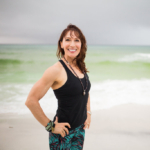 Marie and Larry own The Yoga Haus, in Santa Rosa Beach, FL and are committed to actively participating in and positively impacting the local yoga community. Love led Whitney to Santa Rosa Beach, and her heart has been expanding ever since! Whitney’s calming voice offers a pause between the thoughts, allowing the fluctuations of the mind to ease. Her yoga offerings are a humble bow to her many teachers in NYC and beyond, touching on breath awareness, physical patience and thoughtful choices. Jessica’s love for fitness started in childhood while exercising in the living room with her mother. During her youth, she lived in the Blue Ridge Mountains of Georgia / South Carolina where she learned to appreciate the simple beauty of nature while participating in outdoor activities. When yoga first appeared in her life, Jessica knew she had found her true passion as a certified yoga instructor. Prior to relocating to Santa Rosa Beach with her family, she instructed at Xpress Yourself Studios in Seneca, South Carolina for 5 years. Jessica says, “I found The Yoga Haus and immediately knew I belonged. So I continue my journey in this beautiful place I now call home.” Jessica clearly cues her attainable Vinyasa flow and you can attend her class every Sunday morning.